For a one-time $50 membership share and then $29 annually, you get access to hundreds of high-quality tools and toys you would otherwise need to buy, or rent at inflated prices. The Kitsilano Thingery will be located outside Delamont Park, close to the corner of 6th Avenue and Arbutus Street. 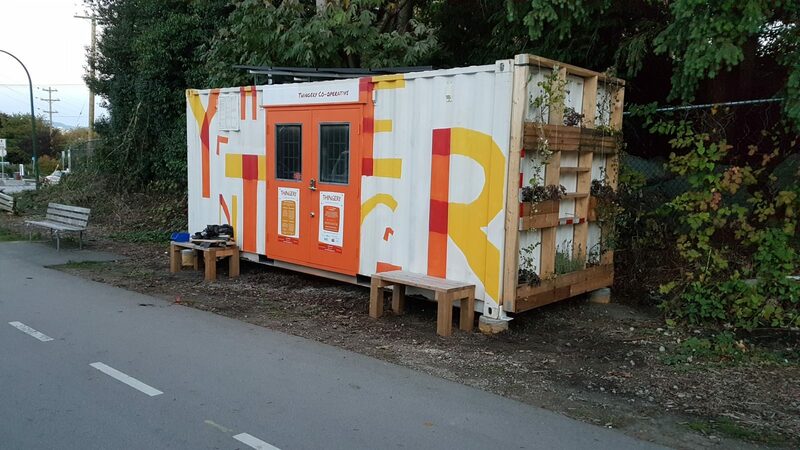 The container will be located just off the Arbutus Greenway at 6th Avenue. In August of 2016 we conducted an initial community meeting with members of the Kitsilano community. In August 2017, we have received approval from the City of Vancouver for a two year pilot permit for a Thingery in this location. Once the site is approved, we move forward to establish the local branch. Each Thingery branch is a non-profit co-operative. We work with the local group to establish the rules, leadership and all administrative assets for the local branch. Once the local group is established, we help set up the container, the inventory and the inventory management system. With the container all set up, we help launch the new location. All locations are set up with their own web page and inventory page. The Thingery parent organization takes care of all the ongoing operations (customer support, maintenance and software needs). Sign up here and you'll receive regular updates and notices about the Kitsilano Thingery. Click on the button to the right to view each Thingery location's inventory. Each Thingery site is its own non-profit co-operative. As a co-operative, The Kitsilano Thingery Co-operative has a Board of Directors that govern the organization.